A new research report, The State of the Property Nation, has been launched by Zoopla and reveals that the outlook for the economy is the top concern for agents, replacing a lack of stock for sale. 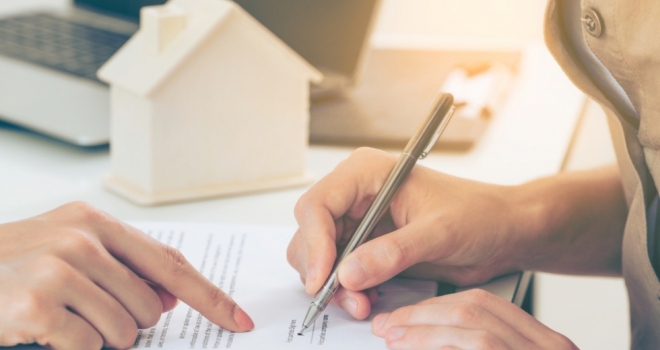 According to the data released, an overwhelming 81% of estate agents expect revenues to grow or stay the same in 2019 despite growing concerns over the economic outlook. The report, which surveyed 6,000 consumers and 660 estate and letting agents, covers a wide range of important insights into the factors that impact the world of property professionals. When asked about the greatest challenge facing their business, almost two thirds (64%) of agents cited the current economic and political situation, followed by a pressure to lower fees (51%) and then insufficient stock (49%).. The ongoing uncertainty surrounding Brexit has led to a slowdown in house price growth and 39% of agents expect prices to fall over the next 12 to 18 months. Hometrack, which is a part of Zoopla, predicts an average UK house price inflation of 2-3% in 2019 on flat sales volumes, while the lettings market continues to register more new lets than housing sales. Despite the economic uncertainty, the majority of agents remain optimistic that they will grow or sustain revenues across all business lines next year, with the exception of letting fees..
With a tenant fee ban on the horizon, almost four in ten (38%) letting agents expect revenue from lettings to decrease in 2019 while only 56% think they will rise or stay the same. However, agents are more confident over growing revenue from property management services. Zoopla asked agents how they plan to respond to the challenges ahead. Charlie Bryant, Managing Director of Zoopla’s property division said: “The annual State of the Property Nation report has captured the sentiment of thousands of consumers and estate agents over the last three years and provides an in-depth snapshot on the property market and the business of estate agencies. The political and economic uncertainty surrounding Brexit is understandably influencing consumer behaviour which is having a knock-on effect for agents in parts of the country. However, despite the obvious challenges, the majority are well-positioned to grow their business. Bryant concludes: “Whether it’s better data and market insight, improved technology for back-office efficiency, smarter portal and software tools to boost vendor leads and generate additional revenue streams, Zoopla has a breadth of solutions agents need to succeed and keep ahead in a dynamic market environment. Wisconsin Contract Law – What Makes a Legally Binding Contract?